The Peruvian Institute of Unfair competition and Protection of IP (INDECOPI) is monitoring some businesses in order to verify that they are using genuine software in their computers. So far, in the city of Chiclayo, in the Lambayeque region, the Institute has inspected six companies, 159 computers and 295 software. "The installation or reproduction of computer programs without authorization of the holder (license) infringes the rights recognized by Peruvian law and international treaties," said Magaly Guzman, head of the Regional Office of INDECOPI in Lambayeque. After this procedure, INDECOPI may initiate appropriate administrative processes to punish the companies in which it has found pirated software. The legislation allows the INDECOPI to impose administrative sanctions (i.e. temporary or permanent closure of an offending establishment), confiscation of equipment and/or accessories involved in the illegal act and the imposition of fines. Yesterday, the Ecuadorian Assembly approved the National Public Data Registry Law. The new legislation involves developing a public database containing information of all citizens. The legislation provides that the information contained in Civil, Commercial and Property records must be packed together into a single database. The data will be managed by the National Data Registry (DNRD), which is an organisation created for this particular purpose. To access to this sole database, the applicant must submit in writing, a request establishing their personal information (name, ID number, address) and explain the use that s/he will give to the information. This is required as a mechanism directed to protect the integrity of the owners of the data. Uh, integrity? Surely the Act is not called Data Protection Act. In fact,this legislation appears to be the contrary. Is it wise? A single organization possessing every single detail of a person sounds a little bit extreme, don’t you think? We are talking about, banks details, properties, family, telephone, well everything that is hold by a civil, commercial and property registry. I do not want to be cynical but it does not look good. Bear in mind that Ecuador does not have a distinctive Data Protection Act. However, the Constitution 2008 recognises the protection of personal data. It also establishes that the collection, store and distribution of personal data needs to be authorized by the owner or by law (Art 66 s 19). My question is, will this Article be overruled by the new Data law? It appears so. Yet, the Ecuadorian Constitution recognises the right of privacy (Art 66 s 20); but, will it be enough to warrant the Ecuadorians some privacy? Data Privacy Day is… January 28. Will the Ecuadorians celebrate? Chile: Counterfeiting and Corporate Social Responsibility. 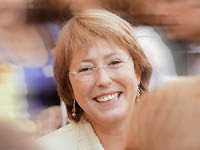 Chilean President Michelle Bachelet signed on January 11, 2010, the Organization for Economic Co-operation and Development’s (OECD) access agreement and thus enabled Chile to become the second Latin American country to be accepted as a member of this prestigious international organization. One of the OECD’s concerns is related to the negative externalities that counterfeiting and piracy are generating on international trade, and more specifically on companies, governments and consumers. In this sense, it should be noted that these wrong doings have gained public awareness and are no longer considered exclusively as a problematic enforcement matter for trademark owners from the private sector. According to OECD, counterfeiting and piracy harm not only companies by diminishing the economic value of their trademarks, but also have a staggering impact on governments that face lower tax revenues and increasing costs for dealing with informal trade and organized crime. Likewise, these infringements are a constant threat for consumers, who put at risk their health and personal assets when acquiring fake goods mainly from the pharmaceutical, electrical and tobacco industries. Moreover, the OECD also promotes the notion of Corporate Social Responsibility, so that companies should be concerned not only in regards to the needs of their clients and employees, but also in connection with other public issues, such as the adverse impact that counterfeiting triggers among consumers in different markets. Consequently, it seems quite straightforward to argue that the incorporation of Chile to the OECD is not only a great opportunity for the government and Chilean companies, but also for foreign companies based in Chile that will qualitatively improve their Corporate Social Responsibility if they continue collaborating with our country’s efforts to reduce counterfeiting and piracy. A note in volume 65, no.2 of the INTA Bulletin (January 15, 2010) records that, on November 9, 2009, Peru's Congress approved that country's accession to the Hague Apostille Convention. The Convention will not however enter into force until Peru deposits its instrument of accession and that deposit is acknowledged by domestic Peruvian law. The note draws attention to the fact that this development will have an impact on various aspects of intellectual property practice and to powers of attorney granted abroad (which currently require legalisation by a Peruvian consulate in the foreign country). 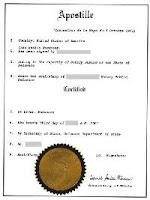 Under the Peruvian Industrial Property Law (Legislative Decree 1075) a power of attorney may be granted as a private document -- without consular legalization -- so long as the party appointing the attorney does not require him (i) to withdraw an application or cause of action or other procedural action; (ii) to waive a registration that has been granted or (iii) to file infringement actions for the violation of IP rights. Rodrigo Ramírez, de Chile, nos ha aclarado que los hechos narrados en mi post anterior acontecieron en el mes de enero, pero del 2009!! Por lo que, tras más de un año de que se produjo tan ridícula e impresentable situación, la consecuencia generada fue la renuncia del Director de la SCD, Santiago Schuster. En reunión llevada a cabo hoy en Ginebra, Suiza, el abogado Maximiliano Santa Cruz Scantlebury, actual director del Instituto Nacional de Propiedad Industrial de Chile (INAPI), fue reelegido por los países miembros de la Organización Mundial de Propiedad Intelectual (OMPI), como Presidente del Comité Permanente sobre el Derecho de Patentes de dicho organismo. Fue nominado al cargo a nombre del grupo de países desarrollados, secundados por el grupo de países de África, América Latina y el Caribe, para que iniciara su segundo período (cuya primera etapa comenzó en 2008). El Comité Permanente está compuesto por los más de 180 Estados miembros de la OMPI y por organizaciones intergubernamentales y no gubernamentales. Su función es ser la instancia de discusión de asuntos relativos al sistema de patentes, facilitar la coordinación y orientar el desarrollo progresivo de los derechos de patentes a escala internacional. Al recién reelegido presidente, se le reconoce haber destrabado las posiciones existentes entre los países desarrollados y en vías de desarrollo, después que el Comité paralizara su labor durante dos años, por diferencias en torno al proyecto de Tratado sobre el Derecho Sustantivo de Patentes. Chile: Exponen Ley del Derecho de Autor con PowerPoint Pirateado. Durante una charla en la ciudad de Antofagasta, en el norte de Chile, Fernando Ubiergo, presidente de la Sociedad Chilena del Derecho de Autor (SCD), disertó hace unos días sobre un proyecto de Ley del Derecho de Autor y al abrir su presentación en el programa PowerPoint apareció en la pantalla la frase: “esta copia de PowerPoint no es original”. Aunque el Sr. Ubiergo ha señalado que los programas no le pertenecían a él sino a la SCD, pues el ordenador utilizado es propiedad de dicha entidad, ha presentado su renuncia al cargo de presidente de la SCD, pero el Consejo le ha pedido mantenerse al frente de la sociedad hasta el término de la investigación. En su declaración, la SCD afirmó que la instalación de un programa no autorizado esta prohibida absolutamente "y todos nuestros computadores cuentan con las licencias correspondientes", aunque será la auditoría anteriormente citada la que lo determine. The blog has been following the FTA that the EU is trying to do with three Latin America blocs ( see info here and here). The expectation is to sign the agreements during the Ibero-American summit to be held in Madrid in May. However, from the three, we now learn that only two have hope. Last week, the EU and both Peru and Colombia meet in Lima for the eighth round of negotiations. However, the negotiation was not close due to, according to Joao Aguiar Machado, director of Commerce for the European Commission, "the sensitivities of the parties". He added that there is confidence that in the next meeting (expected in late February or early March in Brussels), the agreement will be finalised. Looking throughout the past negotiations (here) I was optimist, nonetheless today, I cannot see any advance. The reason being that the problematic issues, such as tariffs for access to European cars to Colombia, the Andean exports quotas for sugar and bananas to Europe and matters relating to the intellectual property are still without conciliation. However, being more specific in IP matters, the Peruvian vice minister of Foreign Trade, Eduardo Ferreyros, said that regarding the issue of medicines, there is nothing else that needs negotiating "...because everything was defined as positive for both parties, all that remains is the subject of biodiversity and geographical location". FIFA SETS A BROADCAST REGULATION AND GETS THE DISAPPROVAL OF THE BRAZILIANS: WILL THE PUBLIC GATHERING FOR THE 2010 WORLD CUP BE AT STAKE? Last Thursday was a bitter day for the Brazilian owners of commercial establishments and party organizers. While pubs, bars, restaurants owners and organizers of open spaces in urban areas as well as in rural communities were setting their plans for big gatherings in June to watch the 2010 World Cup of Football, they have learned about “FIFA REGULATIONS FOR PUBLIC VIEWING EXHIBITIONS” and the new unexpected fees. The new FIFA Regulation sets the requirement for commercial establishments to obtain a Public Viewing License to exhibit the 2010 World Cup and pay a fee of approximately US$ 2,000 to FIFA (www.fifa.com/worldcup/organisation/publicviewing/index.html). This means that bars, pubs and organized gathering at public spaces from all over the world less South Africa will need to pay when staging the 2010 World Cup, thereby increasing their costs. The FIFA Regulation angered the Brazilians, since it is a national tradition to watch the matches in clubs, pubs, cinemas, restaurants and/or open spaces. Further, these fees resemble the hated compulsory fee charged by the local Copyright Central Officer for Collection and Distribution (ECAD) against establishment owners that broadcast music in public. Maybe FIFA authorities do not know much about Brazil, but the admission fee charged to view the games in public spaces are widespread and include areas such as the slams in several cities, where the admission fee support the given free food and drink. The local Indians and the “caboclos” living in the remote areas in the Amazon Forest also pay to watch the World Cup. The admission fees also guarantee free lunch, drinks and, most importantly, the electrical generator to allow the TV sets to be on. As for my own viewpoint, as a regular citizen who loves football and that generally go to pubs with my English, Americans and Dutch friends in Rio de Janeiro, I certainly think that I will end up paying more this year for the beer and the food, in case the enforcement of such FIFA Regulation takes on. The FIFA Regulation seems to be an attempt to reduce the ambush marketing and the free ride practices that take place during the public exhibition of the Work Cup in several countries. In Brazil, It is most frequent to see local brewery and foodstuff companies sponsoring public viewing, thereby ignoring the existence of FIFA Partners, Sponsors and National Supporters. However, it is unfair that a great majority of the viewers will have to pay extra money for FIFA to implement any attack to free riders. 1) Commercial establishments that are required to obtain the license and pay the fee for the public exhibition are not well defined. While Paragraph 4 of Article 1 of the Regulation establishes that public viewing event for commercial purposes are those realized at commercial establishments and open air sponsored by companies that are not FIFA Partners and Sponsors (it does not enlist pubs, clubs and bars that do not charge specific admission fees or practice sponsorship activities to support the event), Paragraph 3 sets out that commercial establishment charging a direct or indirect admission fee and/or gain any kind of benefit for staging the event are entitled to seek the license and pay the fees to FIFA. Since pubs, clubs and restaurants will certainly benefit in any sense for the exhibition of the World Cup, they would require the license. Wrong or right? 2) Television broadcast in Brazil is a public concession granted to TV Companies as it is in various countries. Any charges for broadcasting are permitted solely to TV companies specifically authorized, such as those rendering pay per view services or essentially pay-television operators. 3) The World Cup is about performance of the best national teams and the famous players. Therefore, FIFA is the one that needed to pay extra fees for the exploitation of image rights of the players. not the population where the “crackers” were raised. This statement expresses the general feelings of the Brazilians about the Regulation. Therefore, Brazilian businessmen are calling for the illegality of the FIFA Regulation. As one may see, much discussion on the FIFA Regulation down here in Brazil is yet to come, as well as in other Latin American countries (especially those who have qualified for the 2010 World Cup), such as Argentina, Chile, Honduras, Mexico, Paraguay and Uruguay. Latin America IP enthusiasts will be pleased to see that the current issue of the World Intellectual Property Organization's bimonthly WIPO Magazine contains two articles which focus closely on Latin American topics. The first, "Ecuador 2009 -- a Bicentennial Celebration", is a fun item which marks the Andean republic's 200th birthday with some references to two of its most distinguished products: the Montecristi (a.k.a. Panama) hat and the much-vaunted Cacao Arriba. The second, "The Inova Success Story -- Technology Transfer in Brazil", is penned by journalist Rachel Bueno, who explains why the technology transfer office of the university that is her employer is considered a model for other Brazilian science and technology institutions. NIC Mexico, the independent organization that manages the country code top level domain .mx, has announced the reduction of tariff in domain registration and renewal. On February 1st, the price reduction will be applied in a definitive manner, through the Registry .mx. 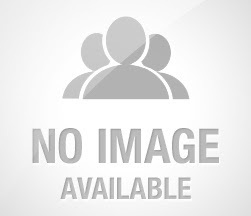 This reduction involves domain names under .com.mx, .org.mx, .net.mx and .mx classifications. With this plan, the NIC offers more affordable domains to end users. IP Tango: time for a change? * was it time for a change? * should the weblog look more "professional"? * would it look better with another template -- if so, which one? * what colour should it be? Today I have taken my life in my hands and have changed both the template and the colour. I've also put a poll in the IP Tango side bar, so that readers can place their comments. Please do let us know what you think, since your opinion means a great deal to us. Bear in mind also that I can easily put the blog back into its original template (or any other one) if that is the will of the readership. The EU meeting with Latin America: will be May the month to see Association Agreements between the two? Newspapers from different countries appear to have woken up with optimistic moods. From two different Latin America blocs I examined that Mercosur and the nations of Isthmus are confident to resume negotiations on Association Agreements between the blocs. The proposal comes after the Spain Deputy Prime Minister Maria Teresa Fernandez de la Vega, asked the European Commission President José Manuel Barroso, to resume negotiations and to reach an agreement with Latin American blocs during the Spanish presidency. The proposal is to sign the agreements during the Ibero-American summit to be held in Madrid in May. There appears to be a consensus of willingness, but is this enough? Starting with MERCOSUR (Argentina, Brazil, Paraguay and Uruguay), this exchange offer was launched in 2001, but after many ideas and dialogue, the talks ended in 2004. Last week, during a speech to the European Parliament, the EU trade commissioner (designated), Karel de Gucht said he favoured continuation of the negotiations with Mercosur. He extended his view by saying: "We are ready to resume negotiations as long as our partners are ready too". However, according to Gustavo Martín Prada, EU ambassador in Argentina and returning to Brussels to take charge of the Department of Latin American Affairs, he explained that the challenging matters do remain the same: for Mercosur, the sensitive issues are some industries, services and also intellectual property; for the EU, the sensitive issue is agriculture. 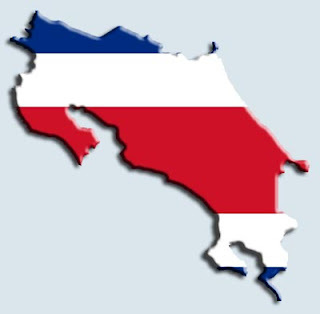 Moving on, the nations of Isthmus (Belize, Guatemala, Honduras, Costa Rica, El Salvador, Nicaragua and Panamá) had already started negotiations but were suspended after the coup in Honduras (June 2009). The EU Commissioner, Benita Ferrero-Waldner, who is visiting Guatemala, is urging to resume negotiations between both blocs. She says: "We are firmly committed to completing a successful deal (...), both sides must be flexible and sensible. However, Mario Yarzebski, coordinator of the Business for International Negotiations, says that it takes "more than willing, since an offer was presented by the Isthmus nations and the EU has not replied”. I do have to agree with Mr Yarsebski, ‘it takes more than willing’. Nevertheless, ‘it needs two to tango’ and as far as both (blocs) are trying to coordinate their dancing steps to do a perfect routine, well then I believe that the prospect looks hopeful. 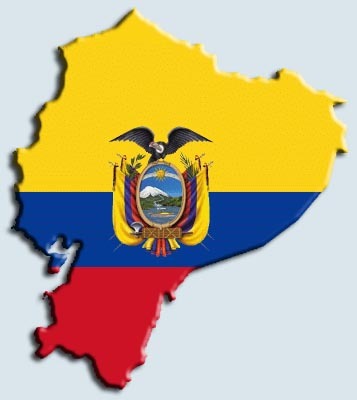 Click here for an early post regarding the EU and both Peru and Colombia's Free Trade Agreement which also mention IP as a sensitive issue. 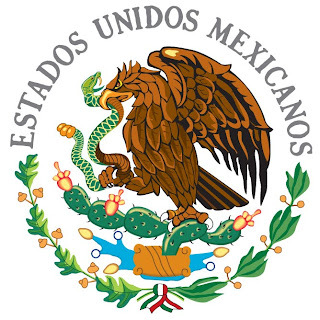 "... After six years of linkage regulation in Mexico, which was intended to avoid the infringement of pharmaceutical patents, ... the Mexican Supreme Court issued its decision on the opposing criteria held by three Mexican Circuit Courts regarding the interpretation of the linkage regulation, particularly, the dilemma of whether the linkage system is limited to compound patents or if product patents covering pharmaceutical formulations should also be listed. The Supreme Court ruled that formulation patents should be listed in the linkage gazette; in consequence, these patents are to be observed by the Mexican Health Authority (COFEPRIS) prior to granting marketing authorizations. Back in 2003, the linkage regulation was enhanced in article 147 Bis of the Mexican Industrial Property Regulations and article 167 Bis of the Health Regulation. Under the cited provisions, the Mexican Patent Office (IMPI) is bound to publish a specific gazette every six months, listing those patents in force that cover allopathic medicines. Inter alia, COPEPRIS is bound to observe the patents which are listed in the gazette according to the generic name of the active ingredient, prior to granting marketing authorizations to third parties different to the titleholder, and alternatively request additional information to the applicant. In case of doubt of an eventual violation of patent rights, COFEPRIS can request technical support from IMPI, regarding the scope of the patent rights. After two Circuit Courts out of sixteen ruled that the linkage system is limited to compound patents. The Mexican Supreme Court deemed appropriate to decide which of the opposing criteria should prevail. b) It’s a valuable source of information to third parties wishing to obtain authorizations for generic drugs, in order to know the full scope of opposable patents. c) Proves that the patent is in full force and that it covers a product, namely an allopathic medicines. In the event of an infringement action, the publication will help to prove that the patent of interest covers a specific pharmaceutical formulation, therefore no expert opinion would be required during the proceeding. d) In case that the linkage gazette is not observed by Health Authorities, the publication of patents is also useful to challenge marketing authorizations for the patented formulations granted to third parties without authorization of the patent holder. e) The Linkage Gazette is also informative in public acquisition processes, to confirm that the product to be acquired is covered by a patent, especially when the patent of formulation listed in the gazette matches with the description of the product in the National Formulary for purchases of medicines by the Mexican Government. The Supreme Court decision will be considered as a highly relevant precedent to all the Federal Circuit Courts and the District Courts in Mexico, which means that if IMPI and COFEPRIS disregard formulation patents from the linkage system, they would be ordered to list or observe the patent by court orders, provided that the applicable prongs are met". Last week the blog brought you some news regarding counterfeit medicines. In the same article, it was posted a moot question enquiring generic medicines and the scope of IP legislation when the medicines were placed in other countries. Thanks to Xavier Seuba , the IP Tango blog is now aware of a working paper which examines the nature of this situation (the paper was commissioned by the International Centre for Trade and Sustainable Development (ICTSD) and written by Xavier himself). While the paper, titled “Border Measures Concerning Goods Allegedly Infringing Intellectual Property Rights: The Seizures of Generic Medicines in Transit”, focuses and analyses the EC Regulations, it is indeed of help for the Latin American countries. This is so, because the document studies the territorial nature of IPRs as well as the WTO obligations and the TRIPS agreement and of course the matter of free trade. I do not doubt that the paper as such is good material for those of you who work in this area. I do indeed recommend the article and you can benefit from it here. EE.UU. bloquea azúcar de Costa Rica por no reformar su ley de Propiedad Intelectual. Interesante noticia sobre un nuevo capítulo de los conflictos que surgen en relación con la protección de la propiedad intelectual, para algunos inapropiada y para otros tan excesiva. Según reportan varios medios los Estados Unidos han bloqueado la entrada de azúcar desde Costa Rica, el motivo, pues que dicho país no ha añadido las modificaciones a sus leyes de propiedad intelectual según lo pactado en el Tratado de Libre Comercio (TLC). Cabe decir que dichas modificaciones son necesarias para que se produzca la aprobación definitiva del TLC. El bloqueo es la nueva forma de los estadounidenses para ejercer presión a Costa Rica para que acepte las medidas pactadas en el TLC en materia de propiedad intelectual. Los ticos no han realizado dichas modificaciones por considerarlas demasiado duras y porque traerían consecuencias negativas para su sociedad. Today’s news (el Nuevo Herald) refers to Maradona, one of the world greatest footballers – a legend, who is preparing to open his own cable TV and internet. The launch is taken place in Mexico, and Cavalti, one of his partners in this project, said that the programmes will mainly focus in sports, entertainment, fashion and celebrities. He also mentioned that the revenues will come from subscriptions and through advertising and sponsorships. The channel will carry Maradona’s image and be called ‘10 ETV’. The name comes from his famous T-shirt number and the letter E referring to entertainment. Maradona, himself will have few shows. For those of you who follow football know that Maradona will be coaching the Argentinean team in the World Cup. And for those of you who have followed his career know that he is known as an outspoken person and quite controversial. In 2005 he hosted a TV program in Argentina called ‘La noche del 10" in which he interviewed Pelé, Mike Tyson, Fidel Castro and Robbie Williams winning all rankings. While many IP practitioners and academics still debate the protection of ‘personality rights’ and/or ‘celebrity image’ one thing is certain, celebrity’s images are exploited and they are profitable. This technique, long used, allows a person or company (in this case it will be the TV channel and internet) to take advantage of Madona’s image. Clearly it will be used to promote and sell these services. This type of right comprised two matters: one which is the right to publicity and the other, the right to privacy. I will focus on the first. With the World Cup coming up, I wonder how Maradona can keep his image and likeness from being commercially exploited by other channels, specifically those in Argentina. Certainly, there is a fine line. However, it is clear that Maradona cannot create a monopoly right in his popularity. In another line, where does the Argentinian channel in which Maradona recorded programs stands? can it keep repeating the programs and perhaps marketing his image? El 13 de enero el Senado chileno aprobó el veto presidencial a la modificación de la Ley de Propiedad Intelectual, relativo a una norma especial que regula la reunión de personas para la comisión de delitos contra los derechos de autor y las disposiciones que regulan algunos aspectos de la responsabilidad de los prestadores de servicios en Internet. Con este trámite legislativo la nueva ley de Propiedad Intelectual de Chile está en condiciones de ser promulgada por la Presidenta de la República, para luego proceder a su publicación y entrada en vigencia. En cuanto a la regulación de los prestadores de servicios de internet se modificó el proyecto de norma que establecía que bastaba sólo una notificación para sacar de Internet un contenido, lo que fue considerado como una norma demasiada arbitraria ya que los servidores podían actuar como censores del material, prescribiéndose, en cambio, que para que un contenido sea sacado de Internet o de un portador, siempre se requerirá de una medida prejudicial o judicial, normativa que es acorde con el sistema constitucional chileno. Una revisión completa de la historia de la ley, aquí. El Gobierno de México está en busca de puntos de vista de mexicanos sobre el Acuerdo_Comercial_Anti-Falsificación (ACTA), acuerdo que, entre otras cosas, pretende combatir la piratería a base de la restricción a enviar información por medio de Internet. Pero dicha restricción podría perjudicar la privacidad en Internet de los usuarios, de ahí que el propio Senado de la República, que debe ratificar este acuerdo antes de ser firmado por el gobierno federal, ha solicitado un informe del contenido preliminar de dicho acuerdo al Secretario de Economía y al IMPI. Se ha solicitado también la lista de los participantes en esta negociación, los países incluidos, las obligaciones de los prestadores de servicios y nombres de los funcionarios y empresas a que representan por parte de las diferentes industrias convocadas a las negociaciones, incluida la correspondiente a llevarse a cabo en México. El temor entre los senadores, es que con el ACTA los prestadores de servicio se vean obligados a analizar los documentos que envían los usuarios con el fin de proteger los derechos de propiedad intelectual y las consecuencias de esta medida. De momento ya hay noticias sobre algunos movimientos en contra del ACTA en blogs y redes sociales, que piden que el texto del acuerdo sea dado a conocer abiertamente. A shipment originating from China was seized by the Customs at the port of Buenos Aires. The container was allegedly carrying electric lamps but instead they found 400,000 tablets of counterfeit medicines (info here). The Federal Administration of Public Revenue informed that the medicines were printed with the trade marks Viagra and Cialis. The Federal Court ordered an analysis of the goods and the result showed that the tablets were adulterated. In addition, Pfizer, the firm that owns the license to manufacture this product, ratified the result. The National Court of Criminal Economic 1, took over the case; the cause of action being contraband and counterfeit medicines. If a determined firm produces a medicine which is already patented but under a compulsory license and happens to export that medicine to a country that does not carry the same policy in that particular medicine, what will be the cause of action brought by the latter country? Certainly it will be an illegal import but will it be counterfeit medicines? Also clearly at this stage is that the medicines are genuine and there is not passing off. What do you think? I would love to hear your opinions. As you might have heard, the Organization for Economic Cooperation and Development(OECD) is an organisation that unites different governments around the world (currently 31 members). The aim is to support and to raise their economic growth. Hence, the OECD is observant of matters such as trade, environment, agriculture, technology, taxation, among others. It collects data and also monitors and analyses the country’s economic development. The OECD recommended that Mexico should create a new secretariat which will enhance scientific development and innovation in the country. This suggest dividing the Secretariat of Public Education (SEP) and transforming the National Council of Science and Technology (CONACYT) in the Ministry of Higher Education, Science and Technology. The measure is proposed due to a mixture of distorted policies. Added to this, last September, during his latest visit to Mexico, the secretary general of the world organization, the Mexican Jose Angel Gurría, presented the government of President Calderon, "Studies of the OECD Innovation Policy. Mexico ". He explained that the country’s low productivity and loss of competitiveness is due to low investment in technology and research. It also calls for reforming the National System of Researchers (SNI) due to low productivity which is measured by the number of research publications and patents registered in the country. With both Chile and Mexico as members, and the ever closer co-operation with Brazil, the OECD has substantially strengthened its links with Latin America. Iniciativa de ley para controlar el contenido de las redes sociales en México. Hay noticias que de verdad no sabes si echarte a reír o preocuparte por el rumbo que pueden tomar las cosas. Dicha reflexión se debe a la iniciativa de ley, que pretende presentar el secretario de la Comisión de Puntos Constitucionales en San Lázaro, Nazario Norberto Sánchez, diputado del Partido de la Revolución Democrática (PRD), para regular los contenidos de las redes sociales en Internet. Su objetivo es para evitar que la ciudadanía utilice estos servicios para eludir operativos como el alcoholímetro y evitar que estos sitios ayuden a los delincuentes a ubicar personas, lo que les facilita la labor a los secuestradores. Desde luego no es que defienda personalmente a las redes sociales, pero no logro entender por que los legisladores y los políticos siempre intentan limitar las libertades de los ciudadanos, será que lo que realmente quieren es evitar las opiniones emitidas respecto al aumento de impuestos, o la creación de grupos de debate o rechazo sobre los propios políticos y sus acciones? It is reported that Heineken NV will buy the beer business of Mexico's Fomento Economico Mexicano SA (FEMSA) in a US$7.9 billion deal. FEMSA is Latin America’s biggest drinks firm, being the second biggest Coca-Cola bottler and selling the drink in nine Latin American countries. The firm is the number one brewery in Latin America and its portfolio owns and/or markets 35 beers marks. It operates in nine countries in Latin America. FEMSA also operates OXXO, which is a convenience store chain in the region. It has recently expanded into Colombia. It makes Dos Equis, Tecate and Sol beers and sells Kaiser, Bavaria Clasica and Xingu in Brazil and in Mexico it also sells Carta Blanca and Indio. This move certainly boosts the Dutch brewer's presence in the Latin American market and will strengthen its position in the US imported market. Heineken was the best-selling imported beer in the US for years before being surpassed by Corona Extra in the late 1990s. Since December 21, 2009 the Summer vacation and its festivities have begun in the Brazilian territory. All the free time, empowered by the 13rd. salary set out by the Brazilian labour legislation, has been encouraging a great deal of the Brazilian population to, more than ever, go shopping and leave on vacation to the several touristic spots. Shop keepers and hotel owners praise for this moment, but so do the pirates. Their expectation to profit has led local pirates to highly increase the importation of counterfeit products from China since September 2009. How does one know this information? Well, the pirates do not tend to keep their activities on low profile. The display of pirate goods at the famous stores in the city of São Paulo so-called Galleria Pagé and 25 de Março Mall have been noticeable. Further to that, the customs authorities confirmed that the seizure of vessels with piracy has doubled during this period. Being aware of the piracy wave, the Federation of the Industries of the State of São Paulo (FIESP) and the Brazilian National Forum Against Piracy (http://www.forumcontrapirataria.com.br/) have organized a training program in mid-December to 100 employees of the Federal Revenue Agency (customs authorities) who monitor the inflow of imported goods into Brazil. Such training will be further carried on throughout 2010, due to its success and to the urgency to protect the Brazilian industries. One has to take into account that the customs authorities have less than 7 seconds to confirm in a very small cargo whether the imported products are pirate or originals, and no more than 5 minute to view a container of 40 meters full of products. Besides training how to distinguish pirate products, FIESP has called upon the presence of the Brazilian National Institute of Industrial Property (INPI) to teach IP rights to the authorities who have very little knowledge on patents, trademarks and copyrights. Moreover, Brazil does not hold a trademark registration at the customs, as it does in Argentina and Paraguay. Therefore, customs authorities need to learn how to gather trademark information on INPI’s database and also off those records, as INPI’s backlog of work hinders the input of updated information. In conclusion, we may say that although the summer vacation and the shopping boost have shown themselves favourable to pirates, there are relevant measures being taken to effectively reduce pirate commerce, as one may hope. El lunes 11 de enero el secretario general de la OCDE, Angel Gurría y Andrés Velasco ministro de Hacienda de Chile, firmaron en Santiago el convenio de adhesión de este país a la Organización para la Cooperación y el Desarrollo Económico (OCDE), convirtiéndose así en el miembro número 31 de la organización y en el primer país sudamericano en formar parte del club de los países desarrollados. Para acceder a la OCDE (donde estuvo cerca de 10 años como país observador) Chile debió adecuar su legislación interna a estándares internacionales en diversas materias, como el levantamiento del secreto bancario, mejoramiento de normativa que regula la libre competencia, aprobación de proyectos de ley sobre intercambio de información bancaria para evitar la doble tributación, y modificaciones referidas a los gobiernos corporativos, como es el caso de la cuprífera estatal Codelco. Algunos de los requerimientos ya estaban siendo cumplidos con anterioridad por la legislación chilena, como los relacionados con los derechos del consumidor, normativa ambiental, y la apertura económica e inversiones debido a los tratados internacionales de comercio. En el ámbito de la innovación y propiedad intelectual un informe del año 2007 fue especialmente crítico acerca de las fortalezas y debilidades de las políticas públicas en este sector, incluida su legislación en materia de propiedad intelectual, y se aún considera una tarea pendiente, que mediante el ingreso al OCDE podrá potenciarse mediante transformaciones que permitan a este país ingresar de lleno a la economía del conocimiento. Más información sobre este particular aquí. The measure comes after police seizure 40 tonnes of adulterated drugs between December and January. It appears that the majority of counterfeit came from an importer company called ESKE SRL. The said company was selling drugs with expired use dates and in others, it changed expiration dates. Another company was producing counterfeit medicines that were of high consumption. It is reported that the head of the two companies will be prosecuted for crime against public health that has up to seven years jail. The Minister of Health, Ramiro Tapia, reported that the government will start tracking counterfeit drugs, supported by students in biocheminstry and policemen, and they will do so in all pharmacies in the country. Why new legislation? Mr Tapia said that the current Medicines Act does not provide tough penalties against those who threaten the public health, which raised the need to change it. "It is important to note that people who distribute adulterated drugs are playing with our lives and therefore the penalties should be more drastic," he said. Added to this, the national chief of the Drug Unit, Amilcar Rada, said that crimes against public health are mentioned in the penal code in a "very general" way. There is the need to change this law to criminalize smuggling and counterfeiting of drugs, as well as the alteration of expiration dates. Alfonso Rivera (Tovar y Bustamante) ha hecho llegar a IP Tango una reciente resolución del IEP en la que, por primera vez en Ecuador, se sanciona a un organismo del Estado (en este caso al Tribunal Supremo Electoral). Al Tribunal se lo considera solidariamente responsable por haber prestado apoyo para la violación de un derecho de autor, al haber pautado en los medios audiovisuales un espacio para transmitir una propagando política que violaba derechos de autor. Cualquier persona interesada en la resolución puede ponerse en contacto con Aurelio. Madrid Protocol in Latin America: a nightmare or a dream? Adam Smith, reporter for the World Trademark Review (WTR), investigates the possible accession to the Madrid Protocol of some jurisdictions in Latin America. In the latest edition of WTR (23), under the title ‘2010: Madrid to expand to Latin America’, the writer embarks into the different issues which surrounds the delay of the accession. I admire Adam’s attempt to point out many situations in such a small space. He starts the article by comparing this situation as a political football! He focuses in the scepticism of these countries (the article mainly refers to Argentina, Brazil and Colombia) to the benefits that the Madrid Protocol brings. He points out that the accession is seen as a better opportunity for foreign applicants than for national enterprises in foreign markets. This idea is clear when he quoted some Latin American practitioners criticising the protocol as “just another way for big foreign multinationals to exploit developing countries”. Another point that he tries to cover is that Latin American governments do not recognise the importance of brands and therefore they do not encourage and support local companies to develop and increase the value of branding. I do strongly agree. Added to the above, he continues by indicating the situation of the IP offices – do they meet the standards and could they handle the work? An extra to the article is the fact that it refers to the race that these countries appear to have to become the first Latin America country to accede to the Madrid Protocol. However, he mentions that while the governments of Argentina, Brazil and Colombia praise that they are going to be the first one, the idea is tainted by economical and political problems. I may add, who is to come first and at what cost? I would like to ask the following: the majority of IP practitioners realise the benefits of the Madrid Protocol, but is this just an ideology of those more economically developed countries? Certainly, companies will have a cheaper and faster access to named markets. However, as any decision, one needs to measure the pros and cons. In this case, undoubtedly Latin America countries are seen the Protocol as an open door to foreign companies (not for nationals ones). Or, I just wonder, is it that less economically developed countries are distrustful and afraid? I indeed enjoyed the article and you are more than welcome to read it here. The Mexican government said that it has notified the company Starbucks Corp. for the potential violation of Intellectual Property Rights. The Mexican Archeological Agency explains that Starbucks is using, in its cups and jars, images of the Aztec calendar and Aztec ruins of Teotihuacan. Starbucks said in a statement that he regretted "any misunderstanding this may have caused" and said "we are willing to pay the amount for the use of these images." Neither the company nor the government has specified the amount to be paid. Starbucks said it is working with Mexico to resolve the matter "as soon as possible" and that it temporarily withdrew the cups from their shelves until the matter is resolved. The New Herald reports that the Bolivian government will launch a pharmaceutical company with remedies of traditional indigenous medicine. The Health Minister, Ramiro Tapia, informed that they have invested 10 million dollars in this project. The country already has seen the opening of two ‘intercultural pharmacies’. The pharmacies sell both, common drugs and natural medicines produced from plants and using indigenous knowledge. The pharmacists are also accompanied by healers commonly called ‘kallawayas’. This decision comes after years of public statements by indigenous groups in Bolivia, Colombia, Ecuador and Peru rejecting intellectual property rights of drug companies because they become richer at the expense of the indigenous resources. They rightly proclaim the defence of their medicinal plants and their ancestral knowledge. (See here and here). In closing, the protection of indigenous knowledge is something that I support. We perhaps may remember the case when a US university applied for a patent for the use of ‘turmeric’ to heal wounds; or also the case of an American company that sought to register ‘Rooibos’ as a trade mark for tea. However, we cannot leave aside the importance of the IP system and so, it will be right to educate the Bolivian community on the need of it. Ironically, the government seems to instruct the contrary. 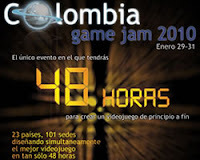 Global Game Jam Internacional 2010 - is this the X factor of the video game production? If you have not heard of the Global Game Jam (GGJ), here is some information that will help to become familiar with it. The GGJ is a 48 hour game development event in which teams of 3-5 people meet to build up a prototype game. The aim of the rally is to promote creativity, experimentation and innovation. This is the second time that the GGJ is held. It is reported that last year 1600 participants from 23 countries took part; 370 games were created. This year, Latin America has 5 countries participating with a total of 13 locations. The competition starts Friday, January 29 at 5:00 pm till Sunday, January 31 at 3.00 pm. Just in case you wonder who owns the intellectual Property of these games, well, the GGJ organisation indicates that the makers of the game hold all IP rights. However, the GGJ may use the games for demonstration. What is more interesting is that all participants must agree to a ‘Creative Commons, share, alter, no sell license’ policy. In other words, they can copy, distribute and transmit the work and also they can adapt the work but...they cannot use it for commercial purposes. Well, I believe that with this picture I make my case! Many thanks to the anonymous person who sent the link. Last weekend all major Latin American newspapers reported that Bolivia will start producing an energy soft drink made from coca leaves. The name chosen is ‘Coca-Colla’ and it will be presented in a bottle with a red label. If it sounds familiar, wait to hear this. Apparently, the drink is dark, sweet and fizzy! Clearly the name is similar to the well known ‘Coca-Cola’ but the whole packaging is also similar (trade dress). Will Coca-Cola Co bring an action? Another issue that is in my mind is: will the name be capable of registration as a trade mark? The name is a description of the drink, 'coca' being the main ingredient and ‘colla’ (also ‘Kolla’) being the name by which some indigenous Bolivians are known. 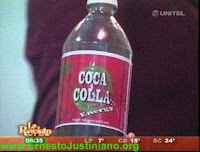 The Bolivian president Evo Morales is supporting the drink since he sees this as part of the industrialization of coca production. Evo Morales’ administration plans to modify Law N° 1008 of the Regime Applicable to Coca and Controlled Substances which limits legal coca cultivation to 12,000 hectares. The Bolivian President is seeking ways to broaden the limit up to 20,000 hectares. For more information click here,here,and here. Note: I have yet to find a picture of the bottle for Coca-Colla, so feel free to contact IP Tango if you happen to find one. "A balancing of the rights of authors and consumers, the re-introduction of a private copying exception, a remixing permission and a new regulatory agency for copyright issues are among the core points the Brazilian Ministry of Culture has planned for the new copyright law. But at the Third Conference on Copyright and the Public Interest in São Paulo a month ago, the Ministry emphasised that the bits and pieces shown to the audience were not from an actual law draft (”anteprojeto”) but only a preliminary proposal for formulating such a draft. The bill still has not been published to date. The delay in releasing the bill for public consultation now threatens the work of more than two years on the reform". "Many ... demands for adequate responses to urgent challenges of the digital age seem to be echoed in the Ministry of Culture’s plans. How exactly nobody knows, until the Ministry finally publishes its draft law and the final round of debate on a balanced copyright for the 21st century can begin. The clock is ticking on the possible success of the reform. Much is at stake - for the future of Brazilian culture, for other countries in Latin America who look to Brazil as a role model and for the world". The EFE news agency published a video report on the banning of violent video games and toy weapons in Venezuela. The government of Rafael Hugo Chávez accuses these games of fostering crime. Venezuela appears to be the first Latin American country to impose a total ban on the "manufacture, importation, distribution, sale and use" of violent video games and toy weapons. Sanctions range from monetary fines ( VEF 110,000 VEF to 220,000 which is approximately USD $50,000 to $100,000) to prison (3 to 5 years). See Articles 13 and 14 respectively for more information. The law may also close some stores, game rooms and Internet cafes. Other countries have expressed similar concerns about some specific games, but most nations have adopted a rating system to warn parents and users about violent or sexual content. A total ban appears to be out of order. However, the irony is that the massive illegal sale of pirated video games is not touched. If you watched the video report, after 25 seconds running, you can see two teenagers scattering through a box full of pirated videos. What a shame! The law can be read here.